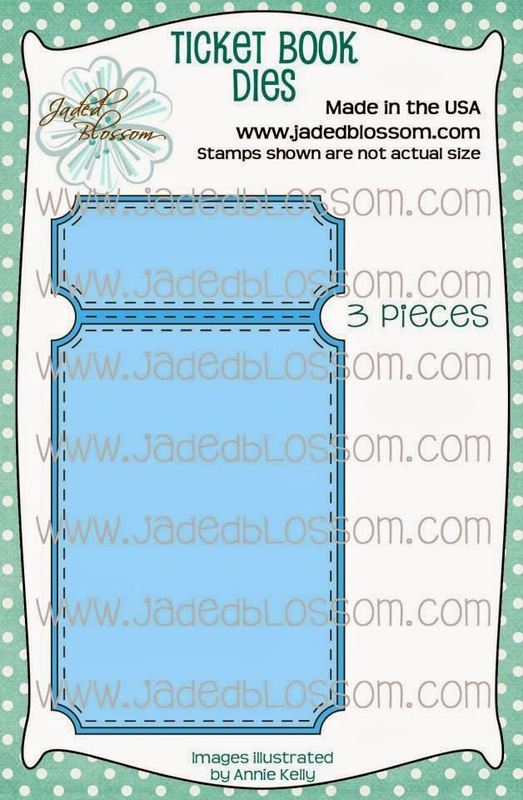 Paper Crafts by Candace: Jaded Blossom Stamp Release day 1! Hope you all love it as much as we do! NO PREORDERS! NO BACKORDERS! No waiting WEEKS for your stamps. WILL SHIP ASAP!!! 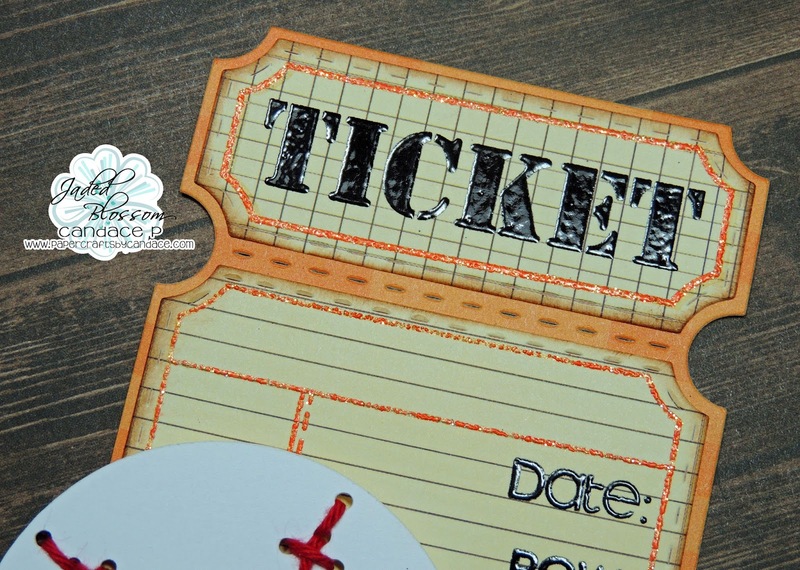 I LOVE LOVE this new ticket die! 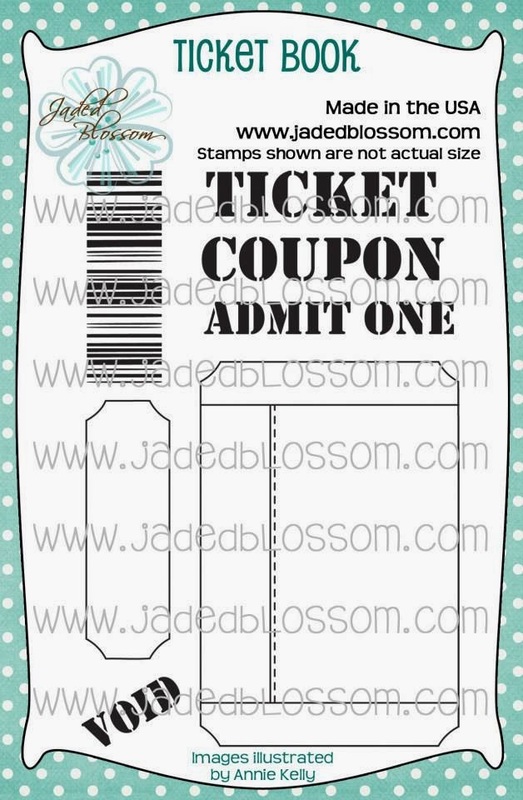 This will be used for when I buy baseball tickets for my husband. THEN after I give it to him I will put it in my project life album along with some pictures of us from the game! I embossed everything! The words and out lines. 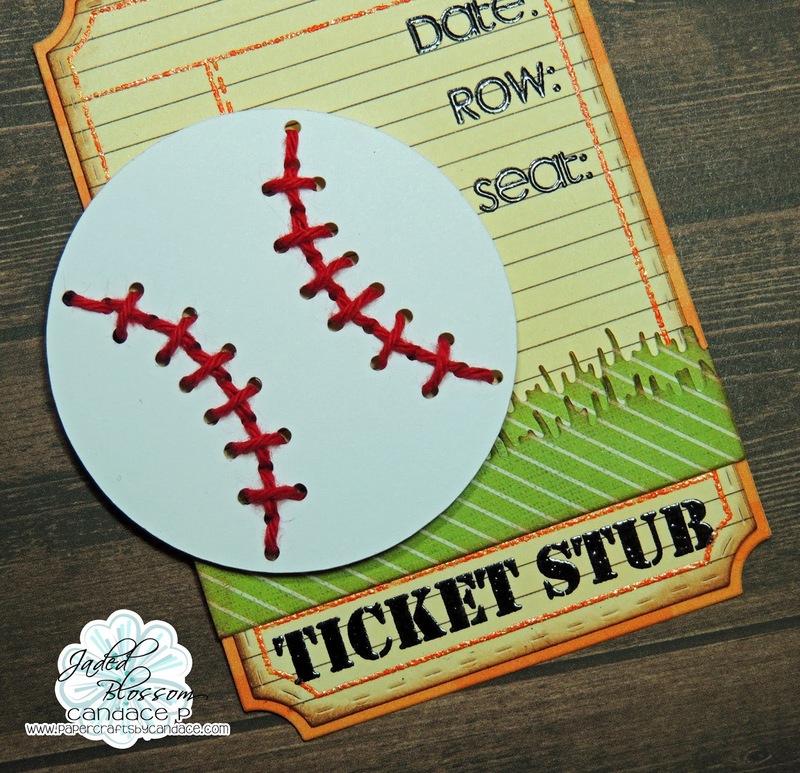 This baseball stitch up file is NEW from SVG Cutting Files!! I LOVE this! this is awesome!!! you are the embossing master!!!! Love that baseball!!! This is so cool Candace! 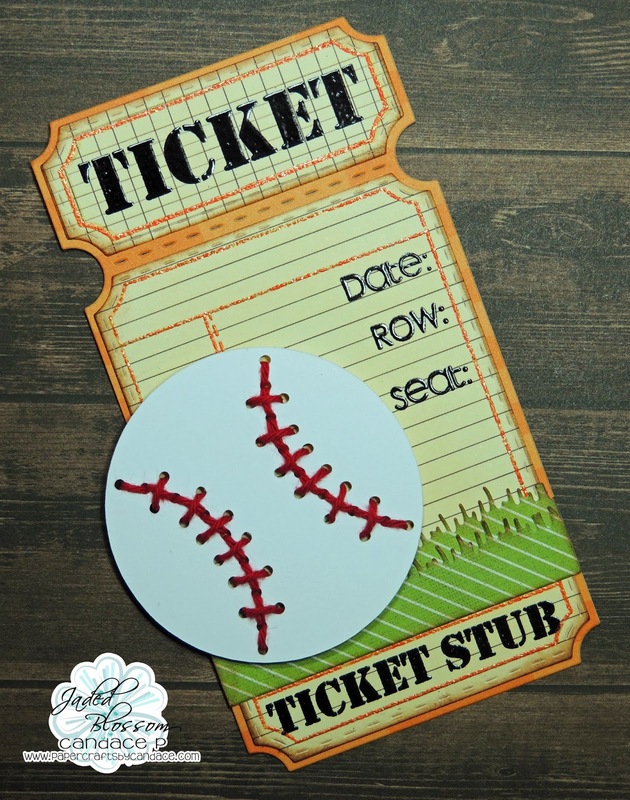 I LOVE the stitched baseball and that new ticket die look amazing! It's perfect, love the baseball, too cute!! Super cute idea! Love all the embossing too. Awesome idea to add to a PL page! LOVE the die and the embossing looks fantastic! Love this how do you make the embossing so crisp looks great. what a great little ticket!! your embossing always looks so great!! You know I freakin LOVE this!! I'm def going to have to make one of these! BUT not in these colors....hahaha!! 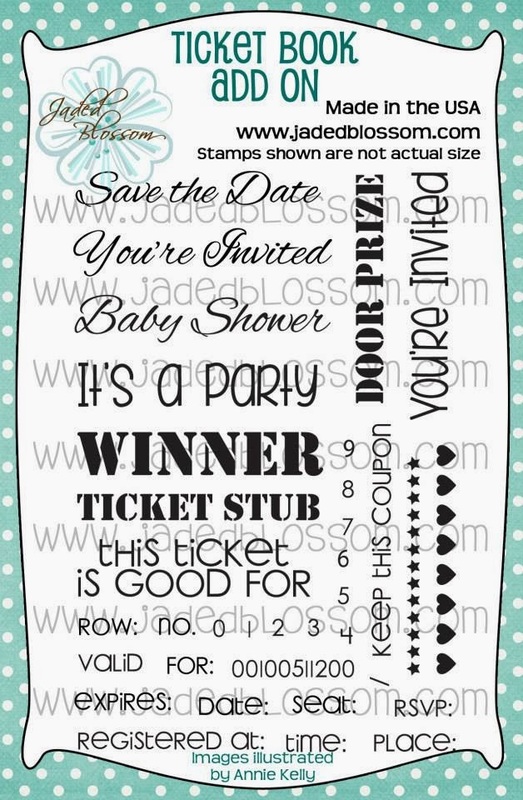 Your embossing is fabulous of course!! 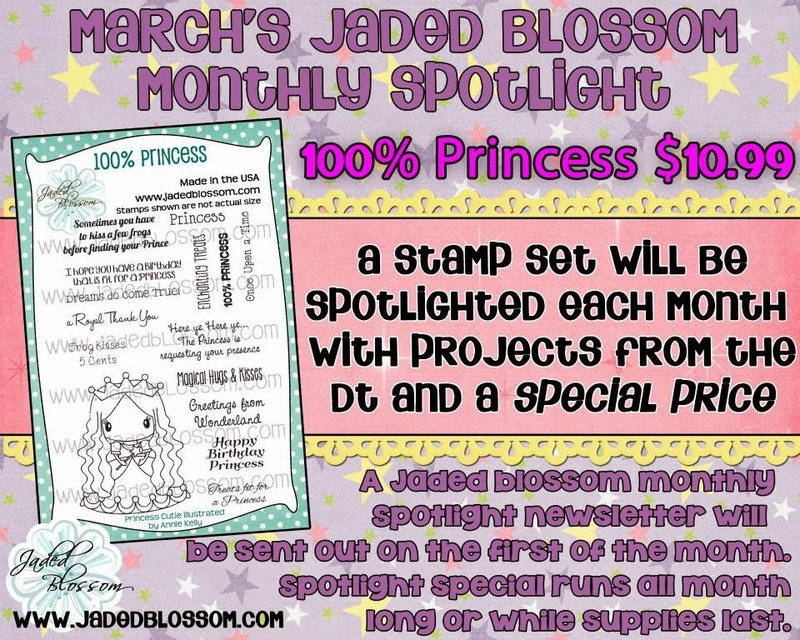 Jaded Blossom Monthly Challenge: Animals!